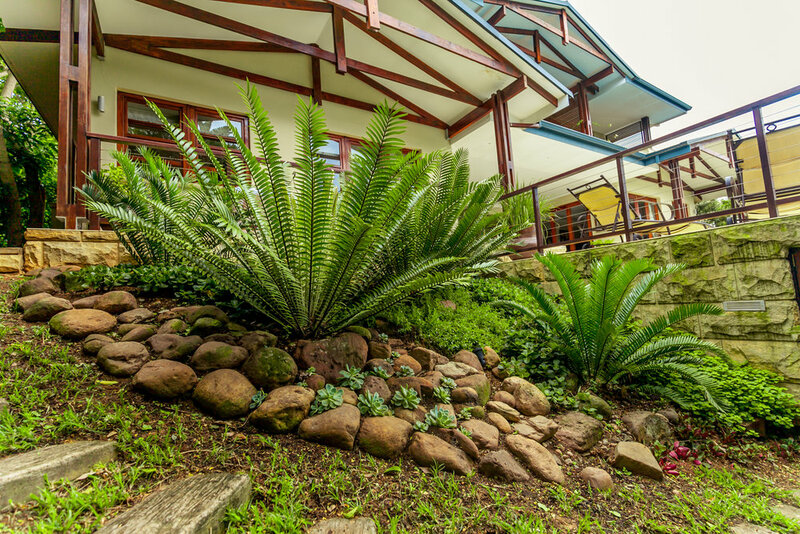 Eco Balance Landscapes is a creative landscaping company that focuses on designing unique landscapes for residential and corporate clients in and around the Kwa-Zulu Natal North Coast. At Eco Balance, we understand that a landscape can transform a property, adding value to property owners and enhancing the experiences of those using the space. With our expertise, we help our clients live in harmony with nature by creating beautiful garden environments that will delight any visitor while reflecting a variety of water-wise, indigenous choices. Find out how we can design a corporate garden that will enhance your employees' working environment and inspire your visitors. Find out how we can design a residential landscape that’s unique and affordable to maintain while respecting your vision. Find out how hiring a professional garden service can help you manage your commercial or residential space. Developing a new commercial space? Boost your property’s curb appeal and visitor experience with a unique landscape designed to enhance your property’s value. From planning the look and feel to regular maintenance, Eco Balance is the perfect landscape supplier for any property development venture. Tell us what you want in your new outdoor space and we will bring it to life.